[i am a dekaphobic]: Chuck's Deli: Half of Half and More! 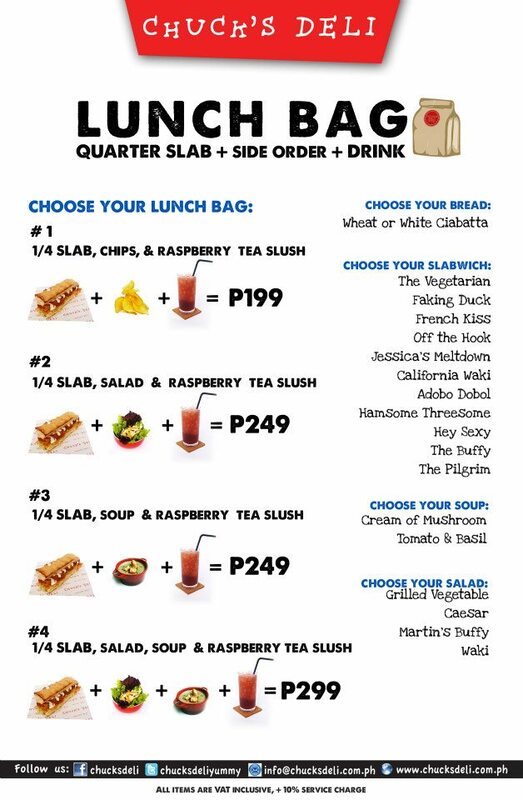 Chuck's Deli: Half of Half and More! 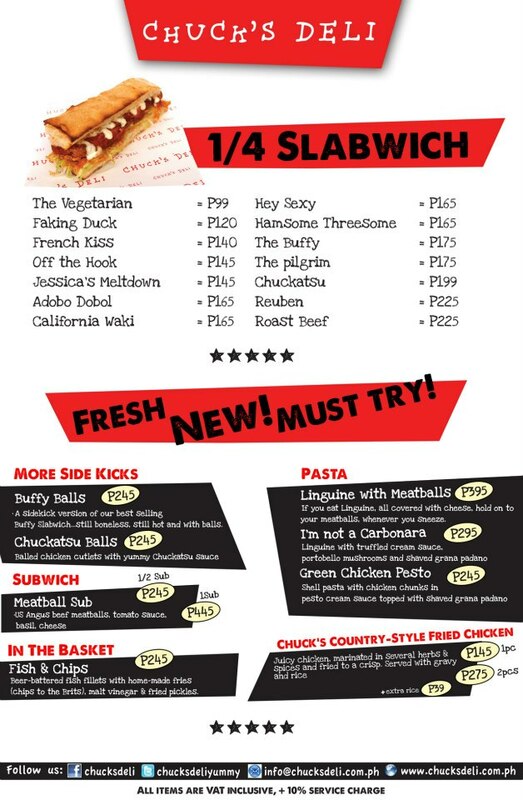 Chuck's Deli, the Home of the Slabwiches, has a new offer: Half of Half! 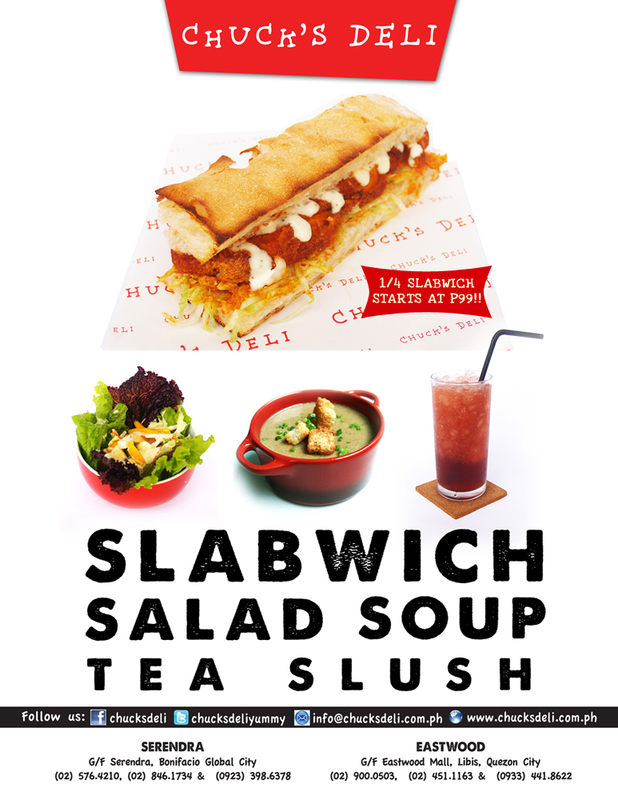 You can now enjoy eating Slabwiches solo (or in my case, I could try more varieties in one sitting, hehe). This is the first time I've heard of a slabwich. Looks interesting. But you had me at milkshake. More than anything that's what I'd love to try. You should try the milkshake and the slabwich soon, Marge! :) I love it! Paramore: Live in Manila 2013! Manang's Chicken: New Menu Items! The Winner of the Dads Kamayan Saisaki Giveaway! Delightful Treat from Ang Mo Kio!